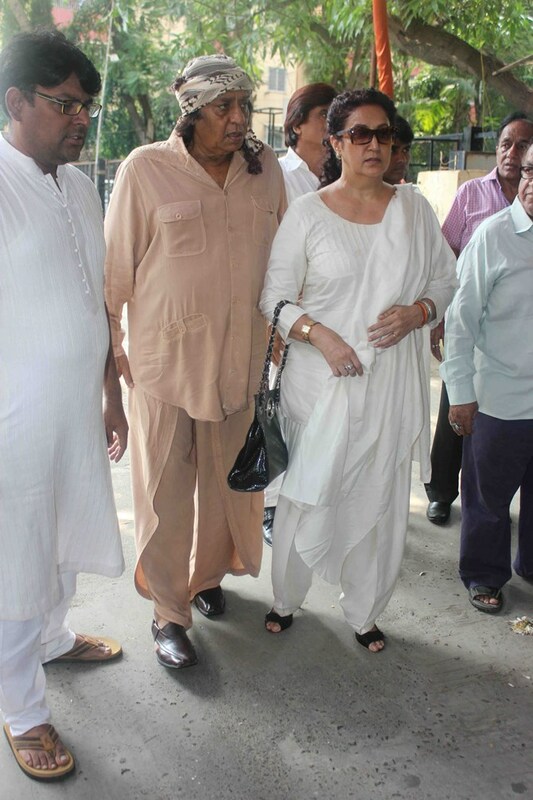 Music composer Ravindra Jain passed away into the ages, and his last rites were carried out in Mumbai on October 10. 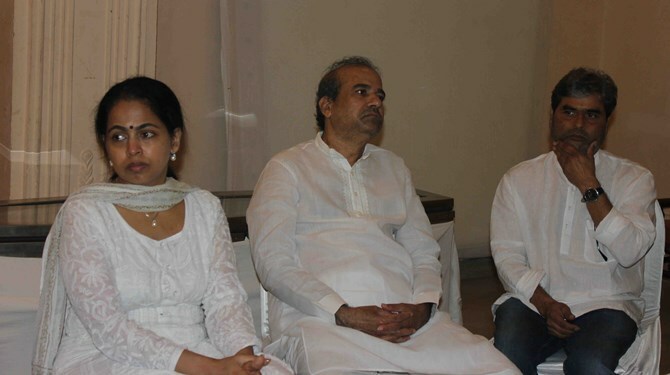 The actress gave a fitting tribute to Jain, who would compose the music for all her dance ballets. 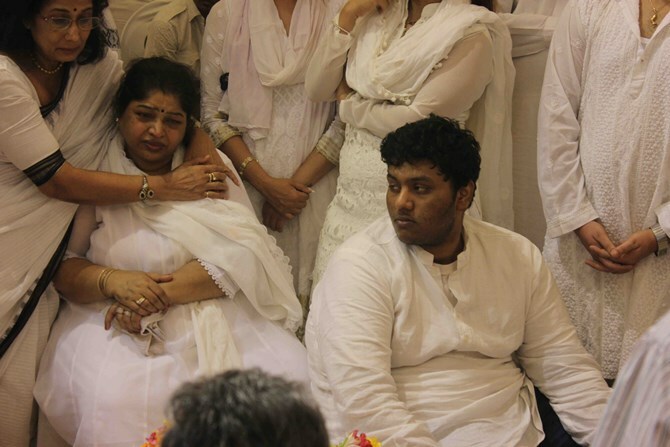 Ravindra Jain's wife Divya and son Aayushman mourn their loss. 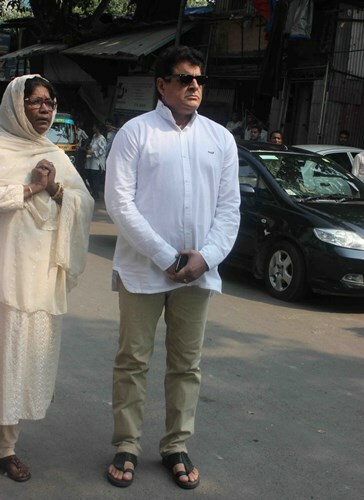 Singer Suresh Wadkar and filmmaker-composer Vishal Bhardwaj pay their last respects. 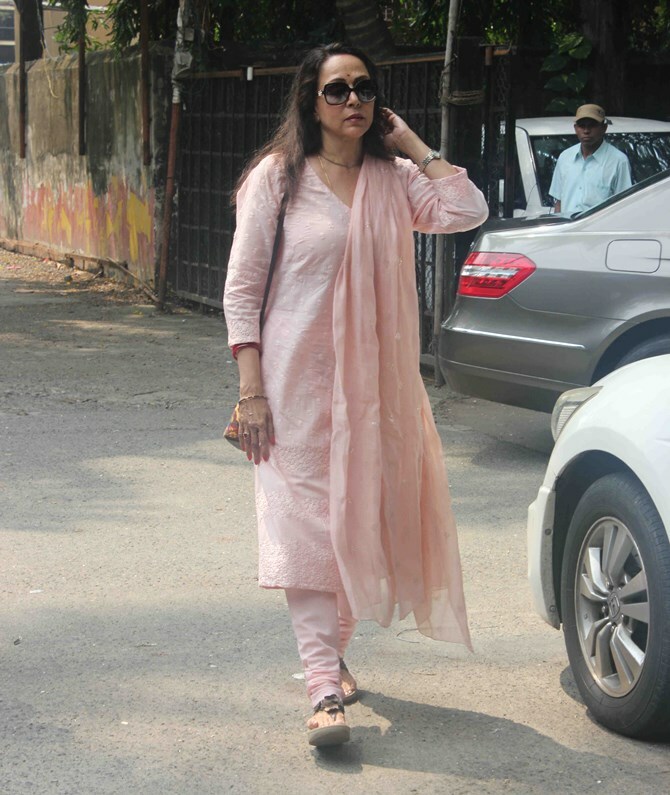 Read more about the veteran actress here. 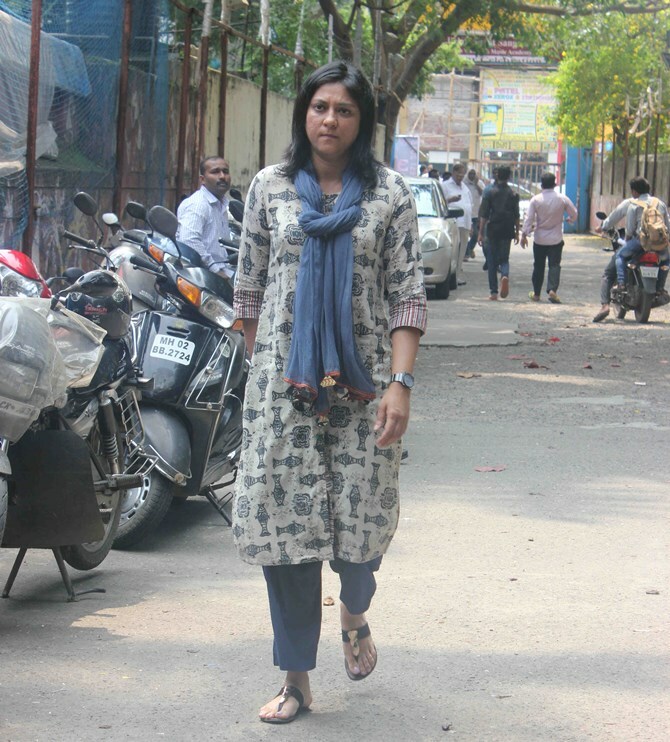 Politicians Priya Dutt (in the picture), Sanjay Nirupam and Vinod Tawde were spotted as well. 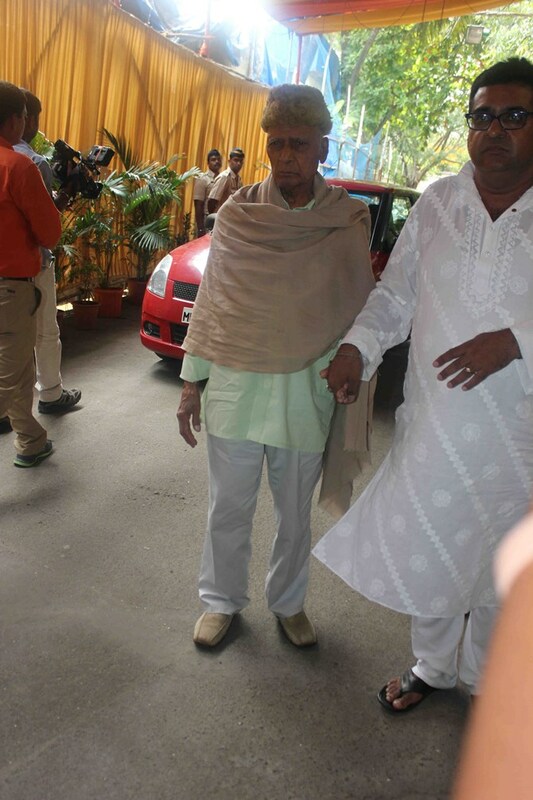 Composer Khayyam, who gave us beautiful melodies in Kabhie Kabhie, Noorie and Trishul, arrives. 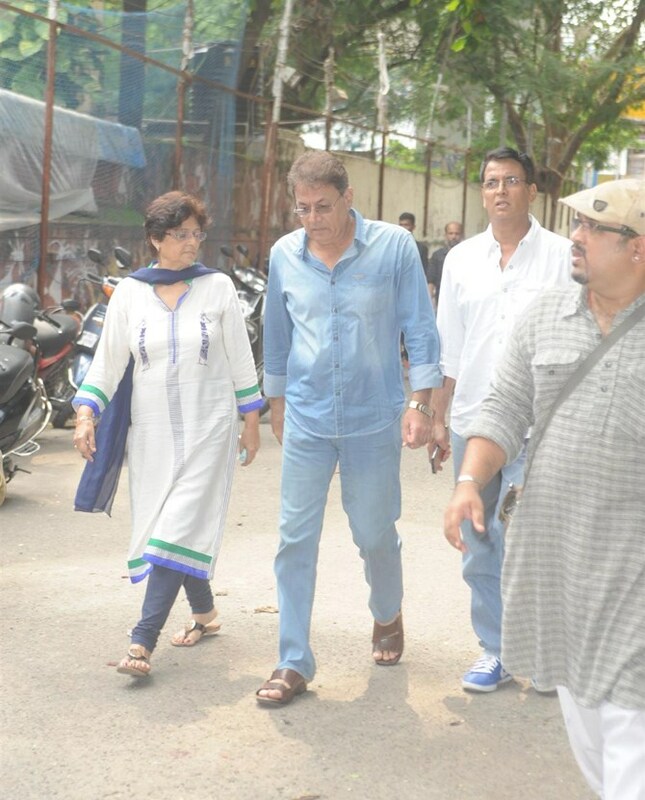 Ranjeet arrives with wife Aloka. 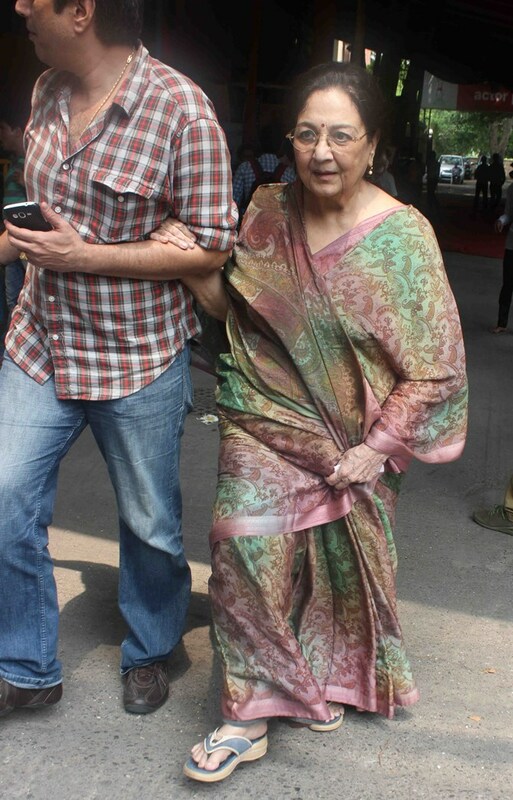 Read about Bollywood's famous villain here. 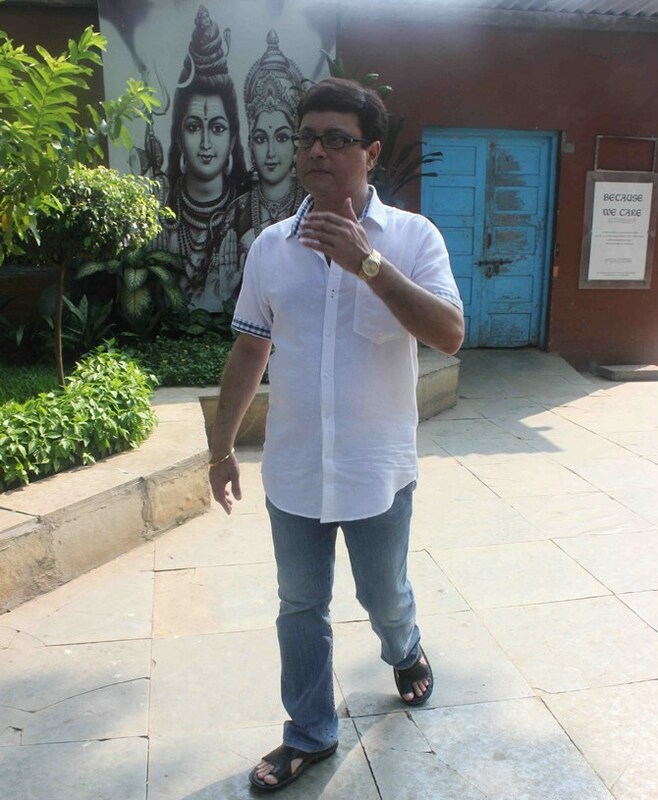 Gajendra Chauhan, who has landed right in the middle of the FTII controversy, turns up. Besides the many movies he had worked in, Ravindra Jain also gave music to one of television's top-running shows, Mahabharata, where Chauhan played Yudhishthira. Ravindra Jain had composed music for Ramayana as well. 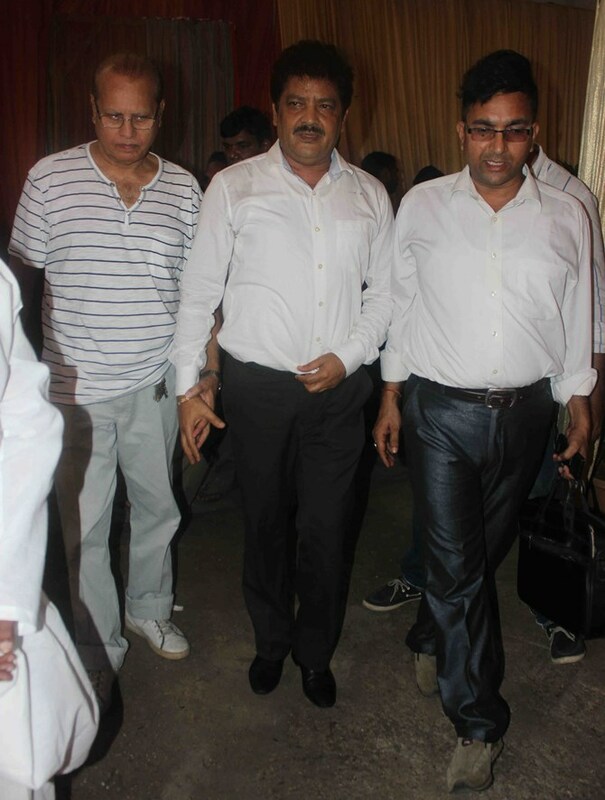 The show's Rama -- Arun Govil -- makes his way in. 9 times when Aishwarya rolled her eyes at us!